Hello friends, hope you’ve successfully made the switch to February. Bozeman leaped right passed it into April as we continue to have weather in the 50’s. As someone who actually enjoys winter, and skiing, and cold-weather running, I find this very depressing. I also am hoping this does not mean we have a hellish summer ahead of us or I think I’ll move back to Alaska for July. In any case, cookies. With Valentine’s Day quickly approaching, Pinterest and the rest of the internet has been overrun with pink and chocolate. I decided to ignore all of these things and make something completely different this weekend. 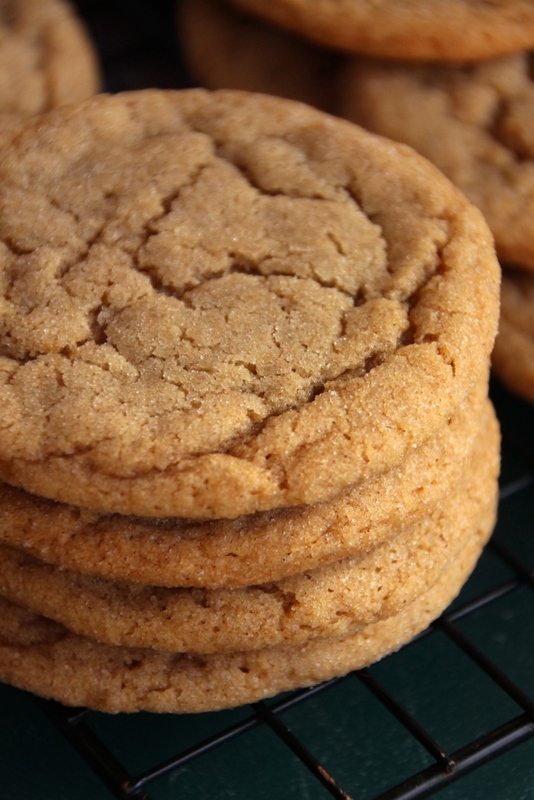 These cookies are soft and have a wonderful brown sugar flavor spiced with cinnamon. 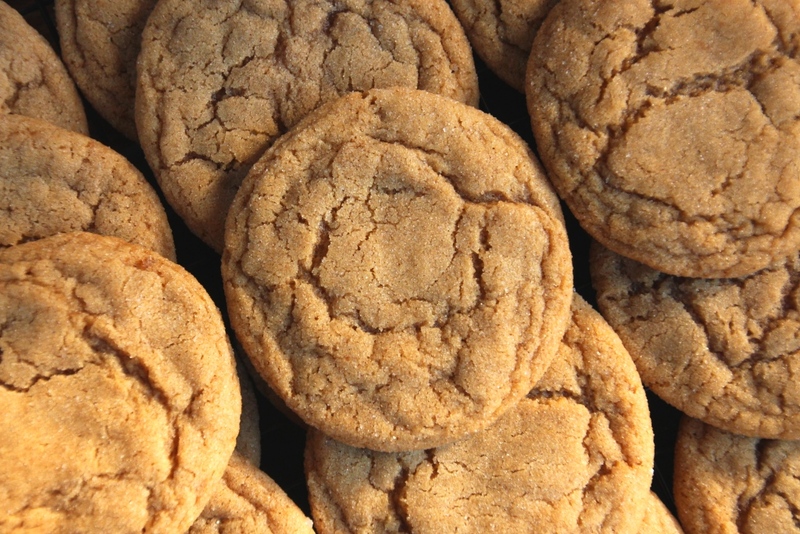 Kind of a cross between snickerdoodles and gingersnaps, they are a simple pleasure and a delightful treat for any time of year. They do require a couple hours of chilling, but I expect I’ll be making these pretty often in spite of that. Bonus: for those of you without a stand mixer, these cookies are mixed by hand – no electricity required. The original recipe called for dark brown sugar but I only had light on hand. They are delicious regardless but I imagine they’d be extra flavorful if you’ve got the dark option lying around. As a fall or winter refreshment these go great with coffee or hot chocolate. If you’re looking to cool them down for summer activities, they are awesome as ice cream cookie sandwiches. Just put a scoop of softened ice cream on a cookie, and press another cookie on top until the ice cream is spread out to the side. Serve immediately or store in the freezer, but pull them out a few minutes early before serving. Yum! In a medium bowl, whisk together flour, baking soda, cornstarch, cinnamon, and salt. Set aside. In a small-medium bowl, whisk together melted butter and brown sugar until completely combined. Add eggs and vanilla and whisk thoroughly. Add wet mixture to dry and use a rubber spatula to stir until completely mixed. Dough will be wet and soft but should be thick. Cover and chill for at least 2 hours. Pour 2 Tbsp sugar into a bowl or deep plate. After dough has chilled, roll 2 Tbsp dough into a ball, then roll in the sugar to coat. Repeat with remaining dough. Return dough balls to the refrigerator, preheat oven to 325 degrees Fahrenheit, and line baking sheets with silicon baking mats or parchment paper. Bake cookies for 12-16 minutes. They will look soft and puffy but should not look super wet in the cracks. For extra soft cookies, use the lower end of the range; for a slight crunch on the outside, use the upper end. Cool on baking sheets for a few minutes, then remove to a wire rack. 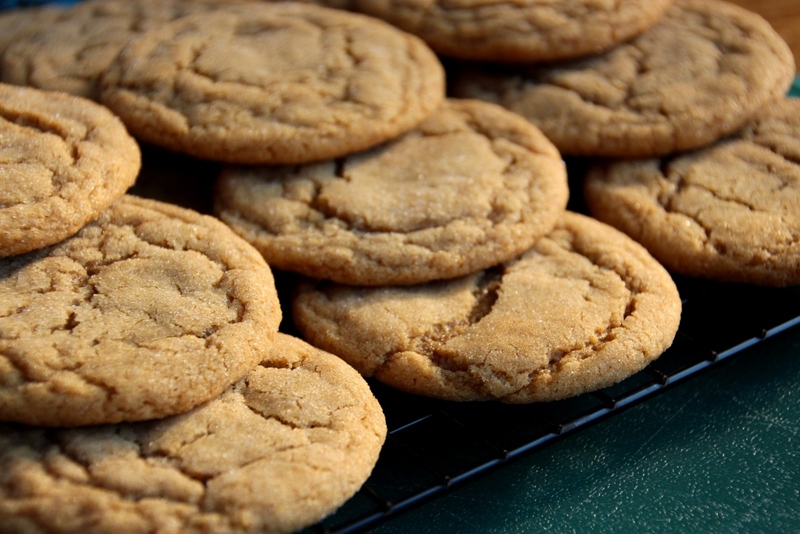 Cookies stay soft for several days in an airtight container on the counter…assuming you haven’t eaten them all already. 1 To quickly bring an egg to room temperature, place it in a cup of warm water for 5-10 minutes.